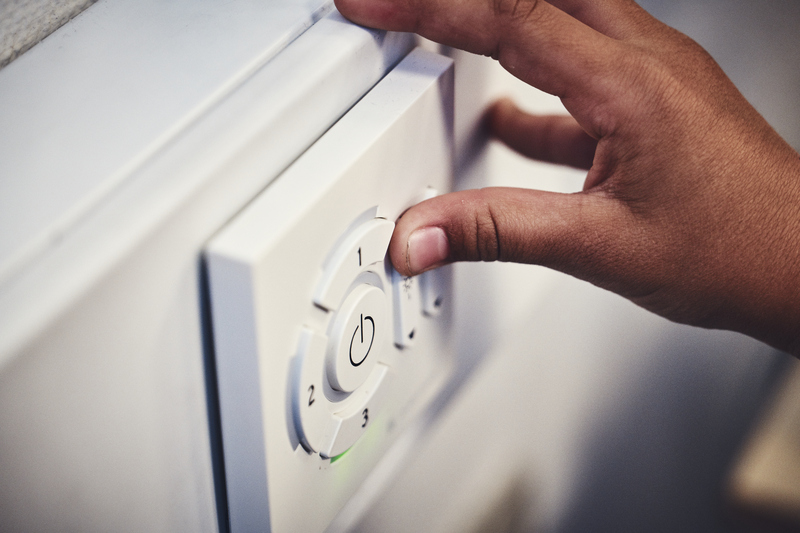 To create evidence-based and useful knowledge about how light in classrooms can support a good learning environment and reduce the use of energy. Four classrooms were renovated. Two classrooms facing east and two classrooms facing west. 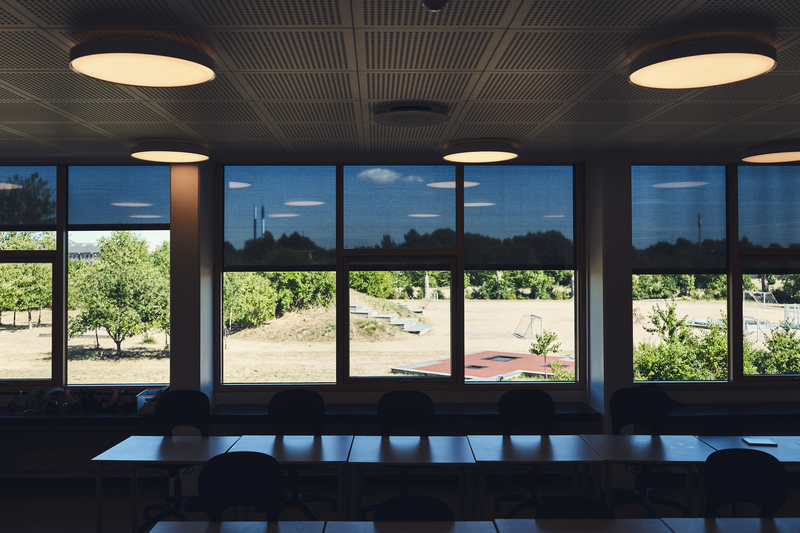 In the four classrooms new light was installed, acoustics were improved and adjustable external shading curtains were placed on the windows facing east. The lighting design consists of three elements: dynamic lights in the ceiling which can change intensity and colour temperature, lighting of the boards next to the smartboard and wall-wash light on the wall opposite the windows. Predefined settings were made. 0: Standard. – Light according to existing regulation (300 lux, 3000 kelvin). 2: Fresh/focus. – For focus on the teacher and concentration in the room. In the room the light is intense and cool (500 lux, 5000 K) and the light in front of the smartboard is dimmed. The light that lights up the boards next to the smartboard and the teacher is slightly warmer (500 lux, 3000 K) and so is the wall-wash light (500 lux, 3000 K) on the walls opposite the windows. It is up to the teachers to use these three settings to create different moods to support the various learning situations in the classroom. In two classrooms (one facing east and one facing west) there is a timer on each stetting, changing it back to the standard setting after 30 minutes. In the two other classrooms it is up to the teachers how long they use each setting. Mixed methods were applied. Both an anthropological approach with observations and interviews and a technical approach with measurements of reflectance of materials, noise, daylight level and simulation of direct sun to choose shading solutions. We measured and observed the existing situation, which resulted in design parameters. A lighting designer interpreted the design parameters into a specific design. The design was applied to the classrooms, and the new situation was evaluated with the same mixed methods. The teachers’ use of the lighting scenario was studied through a mixed-method approach, combining qualitative research material from observations and interviews, and quantitative data from the dynamic lighting design. 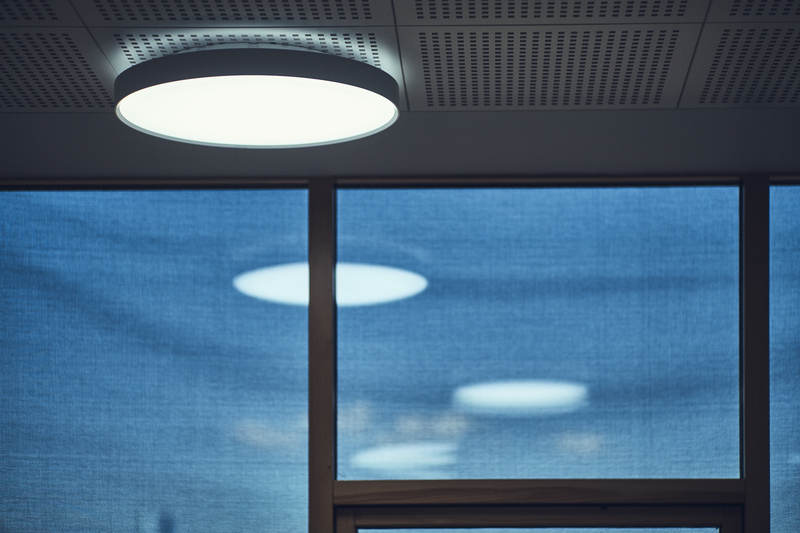 The results show that the teachers used the different scenarios and that they created individual patterns for interaction with lighting as a tool for teaching. 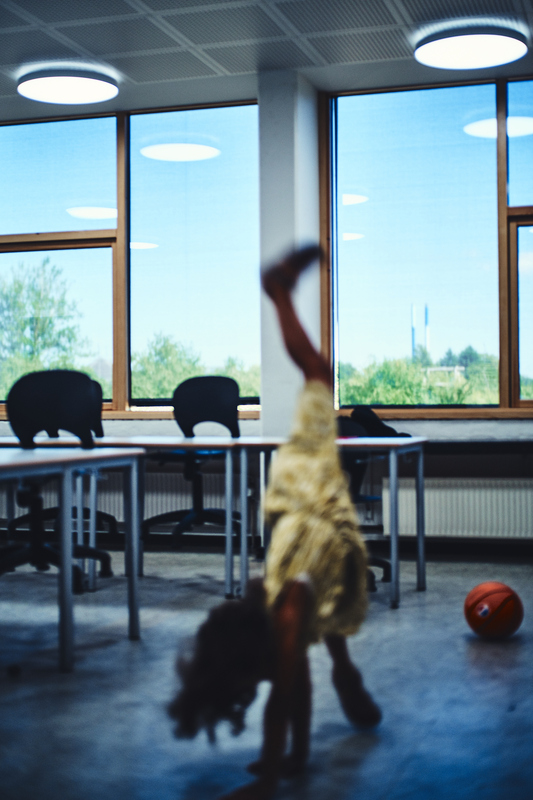 The parameters were related both to the time-dependent variation of daylighting conditions referring to seasons, time of the day and orientation of the classroom as well as to different teaching and learning activities in classrooms. 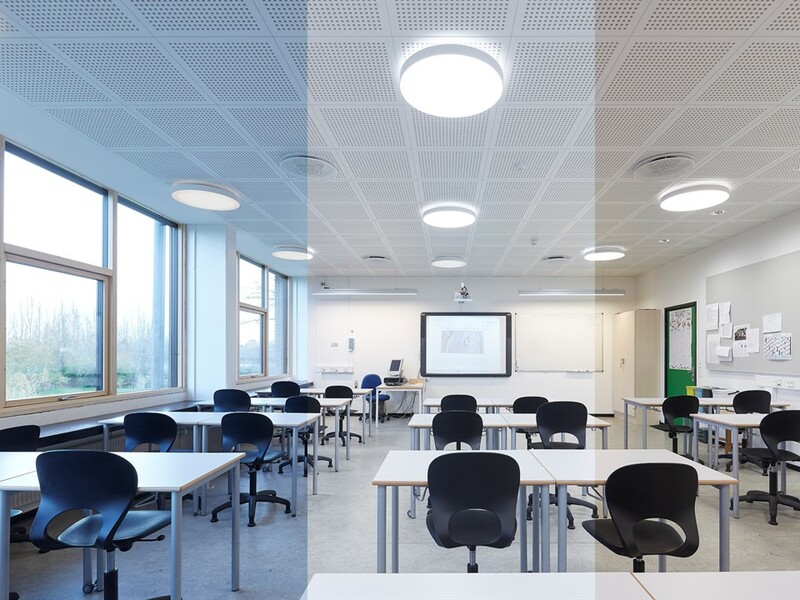 Both aspects should be considered when designing interactive lighting systems for learning environments, thus creating an engaging tool for teachers. The triple helix collaboration was very successful, since it gave us the possibility to make a real case study and collect a large amount of qualitative and quantitative data. The analysis of this data has been very time consuming and there is still a lot of valuable data to be analysed and used. Next time we would allocate more time for analysis and writing scientific papers. After arrangement with the municipality, se contact details below. The unique contribution of this paper is that all the data collected from the final design case study during the previous 6 months, as well as the analysis and findings, are new, so this paper contributes with the absolute main findings of the overall project. The approach, to study how dynamic lighting can be used as a tool for teachers, will be scaled up in other projects and studied in other kinds of buildings. The three pre-programmed lighting scenarios. The control panel for hte lighting scenarios.